There are many programs available in the market that can help you to download videos from YouTube, and they offer different features for you to get the work done. Among all the video downloaders, Flvto YouTube Downloader is a helpful program that enables you to download videos from YouTube. But this video downloader at times crashes during the downloading process, which makes people really annoyed, and they'll want to find an alternative to this YouTube downloader program. This article will help you to learn more about Flvto YouTube Downloader, and also offers the helpful alternatives to this program. Check it out. The Flvto YouTube Downloader is a video downloader program can help you to download YouTube videos to different kinds of video and audio files. Flvto YouTube Download has a very simplified user interface that enables you to download videos with fast speed. Besides the downloading feature, Flvto YouTube Downloader also allows you to download music files with simple clicks. For example, you are able to download YouTube to MP3 with the help of this program. This video downloader program offers different kinds of video and audio formats for output, such as .mp4, mov, avi, etc. This part will introduce the Pros and cons of Flvto YouTube Downloader to help you make a better understanding of this program. The amazing part of this Flvto YouTube Downloader is that it has the ability to download the music without any quality loss. There is another attractive option for uploading the downloaded tracks into iTunes and also it convert the total YouTube channels and playlists. This YouTube downloader fully support multi-tasking downloading. It does not have the bandwidth limit, so the users may not be able to surf the Internet while downloading videos with this program, because it will occupy most of the bandwidth for the download. iTube Studio is a great alternative to Flvto YouTube Downloader, and it's the pro version of KeepVid.com. With the help of iTube Studio, you are able to download videos from more than 1000 video sharing sites, and it keeps the quality of the video files after downloading. Even if you want to download YouTube to MP3, you can get the work done with one click. Download videos from YouTube, Facebook, Vimeo, Vevo, MTV, Dailymotion, Facebook and other 10,000+ pupular sites. Exceptionally good in converting any video to more than 150 file formats making the video best suited for your every purpose. Its ability to record the videos from the websites with its in-built screen recording function makes it stand out amongst others. Supports all major web video portals and more than 10,000 video sharing websites. The lightning speed offered by this program to download your videos 3X faster than any other program is remarkable. This Vimeo embedded video downloader equips with a video recorder which allows to capture from any online site. It holds a Private Mode to fully protect your video downloading information with a password. Step 1. Start iTube Studio after the installation, and you'll see the main interface of downloading videos. Step 2. 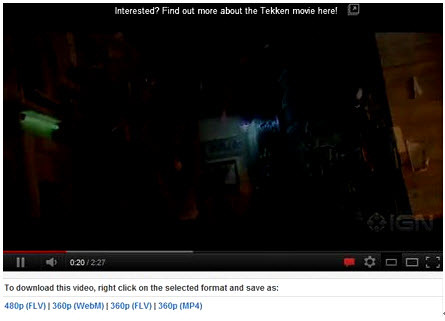 Now go to the video sharing sites, such as YouTube, and find the videos you want to download. Then copy the video URL in the address bar. Step 3. Click the Paste URL button at the upper left corner of the main inteface, and you'll see a pop-up dialog. 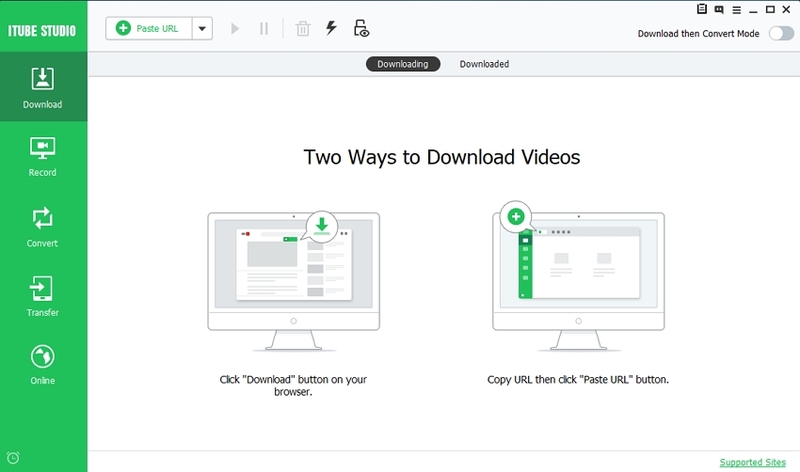 Select the video quality you need in the dialog, and click the Download button to start downloading video. Step 4. When the download finishes, you'll see the downloaded video in the Downloaded library. 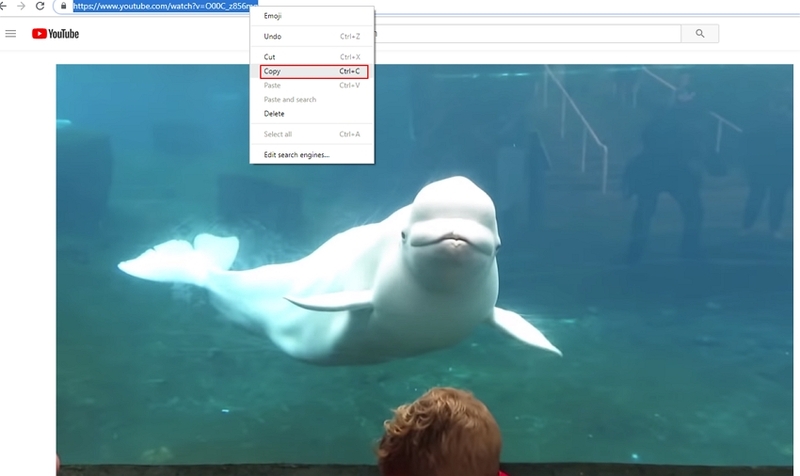 If you want to locate the video on your computer, you can right-click the video and choose Open File Location. iSkysoft a good video downloader available in the market for Mac users. You can download videos from 1000+ site using this software for free. You are also allowed to download videos from Windows 10.
iTube Downloader allows users to download videos from more than 1000+ video sharing sites for free. iTube YouTube Downloader fully supports all kinds of video file types, including MP4, MOV, AVI, etc. It allow the user to download the high definition videos from huge number of video sharing websites like Daily motion, Face book, VEVO, Metacafe and many more. On the user browser it automatically detects the video playing, by using the buttons for smart download and let the user to download the videos easily. If you want to use the full features of iSkysoft iTube Studio, you'll need to pay for it. Video DownloadHelper is actually an extension which helps you to download videos from any site. This is an add-on which you can find in the Web Store for Firefox. You can download the add-on easily for free use, and you'll find it very handy. It can download videos from most of the sites like youtube etc. As a bonus it can also record twitter periscope. The pros of this application are it captures audio, video, images from lots of websites. It supports Ubuntu, Windows, Linux and Mac. Video DownloadHelper is a browser extension which can't maintain stable downloading process. This is another helpful alternative to Flv YouTube Downloader. If you want to download videos from YouTube with 4K Video Downloader, you only need to copy the URL of the video and paste it in the downloader to get the video for free. You can download entire channels and videos from youtube using this video downloader. You can use it on any os like PC, MAC or linux. Operating system donesn’t matter. 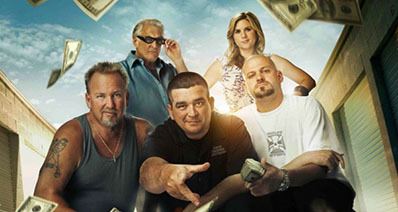 The pros is it allow audio, high quality video, playlist of download and subtitles from YouTube. Convert and the media are saved in multiple formats. In the form of 3D the videos are downloaded and it is completely free to use. This is not a free program, and you'll need to pay for the full features. Freemake Video Downloader is also a helpful alternative to Flvto YouTube Downloader. This program enables you to download videos from YouTube, Dailymotion and other video sharing sites with simple clicks. Download video from different video sharing sites. Convert the downloaded videos to various kinds of video file formats. The program enables you to download videos with a stable downloading process. This program gets Malware warning during the installing process. Conclusion: With the help of the above alternatives to Flvto YouTube Downloader, you'll be able to get the videos you want without any effort. The programs offers helpful features for you to get the work done. When you make a comparison among the downloaders, you'll find that iTube Studio offers the most helpful features for you to download videos from YouTube and other video sharing sites, so if you are interested in this program, you can free download it to have a try. Copyright©2019 iTube Studio. All Rights Reserved.